come and enjoy Greg Hilight live at sugar factory. 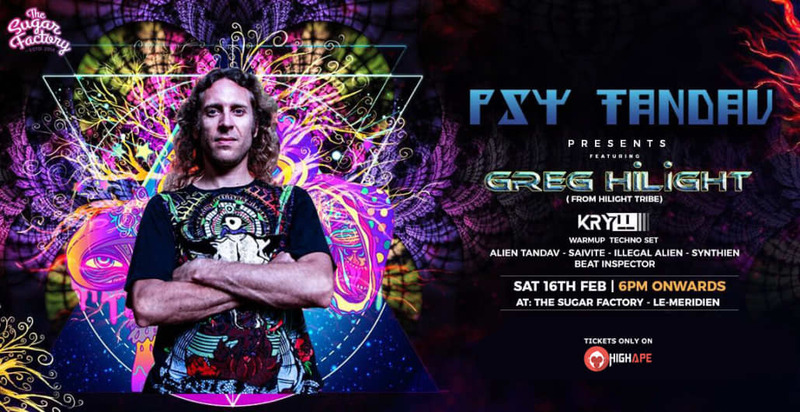 Greg a lead member of the world loved natural trance band- Hilight Tribe, is now taking on his own project Greg Hilight. After representing the brand all over Europe, Japan, Brazil and the US. He has now launched his own album Cristalphoenix- an interaction between natural instruments and digital trance. It’s his vision for the 21st century dance floor, a magic potion of ethnic grooves, electronic sounds, instruments from all over the world. Be the first to catch it live only at Sugar Factory - Le-meridian Bangalore. Special Details: Event starts from 6pm onwards.